I know you've been looking for a brand new mounted print from me - haven't you? Well, how about two? 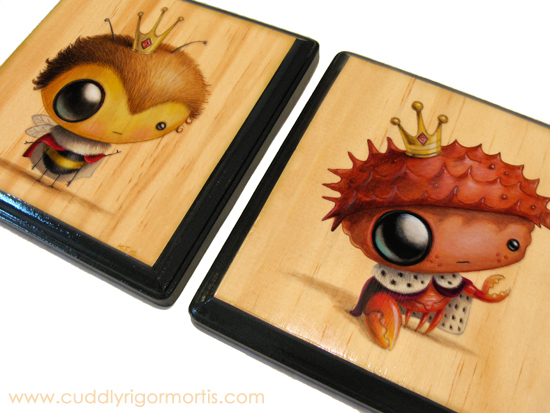 Just for you, I've made "Queen Bee" and "King Crab" into mounted prints on 6.75" squares. They have the same high gloss finish and clean black painted edging as all my other pieces so they'll fit right into your collection (or look mighty fine on their own!). Available exlusively in the Cuddly Rigor Mortis shop.